Editor's Note: This op-ed by Enough Project Co-Founder John Prendergast and Dafuri Activist Omer Ismail originally appeared on Foreign Policy. For the first time ever, attendees at the United Nations General Assembly (UNGA) this week may include a sitting head of state who is the subject of an International Criminal Court (ICC) arrest warrant for genocide and crimes against humanity. That head of state is Sudan's President Omar Hassan al-Bashir, who, clearly undeterred by the ICC warrant, has said he plans to make the trip to New York. To make matters worse, Bashir intends to visit the UNGA after unleashing new violence in 2013 that has led to levels of human displacement second only to Syria, in global terms, since the beginning of the year. Indeed, Darfur, the scene of Bashir's earlier crimes for which he was indicted by the ICC, is burning again. Janjaweed militia forces, backed by the Sudanese government, are once more torching villages, terrorizing civilians, and systematically clearing prime land and resource-rich areas of their inhabitants. The latest ethnic-cleansing campaign has already displaced over half a million Darfuri civilians this year, the largest population movement since the height of the genocide eight years ago. Amid this horror, it is unconscionable that the U.N. and United States would welcome Bashir to New York — unless there are plans to arrest him and try him on a global stage. Most media and diplomatic descriptions of the surging violence in Darfur fall within the popularly accepted "endemic intertribal hatred" narrative. In reality, however, the violence is systematic, state-sponsored, and driven by economic and security objectives. Bashir and his government actively promote the image of uncontrollable, anarchic, intertribal violence to mask their divide-and-rule strategy's underlying intent: consolidating control of the economy in Darfur. At the height of the mass atrocities committed from 2003 to 2005, the Sudanese regime's janjaweed strategy appeared to be driven only secondarily by the acquisition of salaries and war booty. By contrast, today's escalating violence is more blatantly fueled by monetary motivations. The government and its militia allies are grabbing land, consolidating control of recently discovered gold mines, manipulating reconciliation conferences for increased "blood money," expanding protection rackets and smuggling networks, demanding ransoms, robbing banks, and resuming large-scale looting. An additional government motivation behind these actions and other violence is appeasing increasingly restless janjaweed constituencies needed for the regime's fight against the rebel Sudan Revolutionary Front, which is battling the regime in Darfur and other parts of the country. Gradually, many janjaweed militia groups, including those incorporated in Sudan's border guards and Central Reserve Police, have slipped partly out of government control as the salaries and other endowments available for patronage networks have shrunk with declining government budgets and interest. Janjaweed units increasingly have undertaken criminal activities to make up for lost payments from the government's off-budget expenditures. During the past six months, the regime has sought to bring many of its favored janjaweed elements back into closer alliance around shared objectives, such as population clearing in northern Darfur to better control dramatically increased gold production there. Read the full op-ed on Foreign Policy. 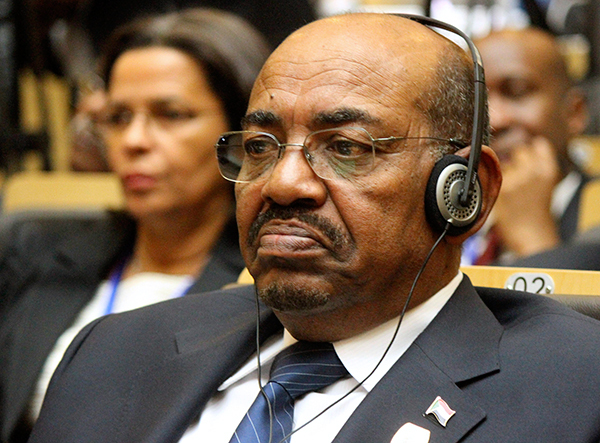 Photo: Bashir attends the African Union Summit in Nigeria, July 2013 (AP).